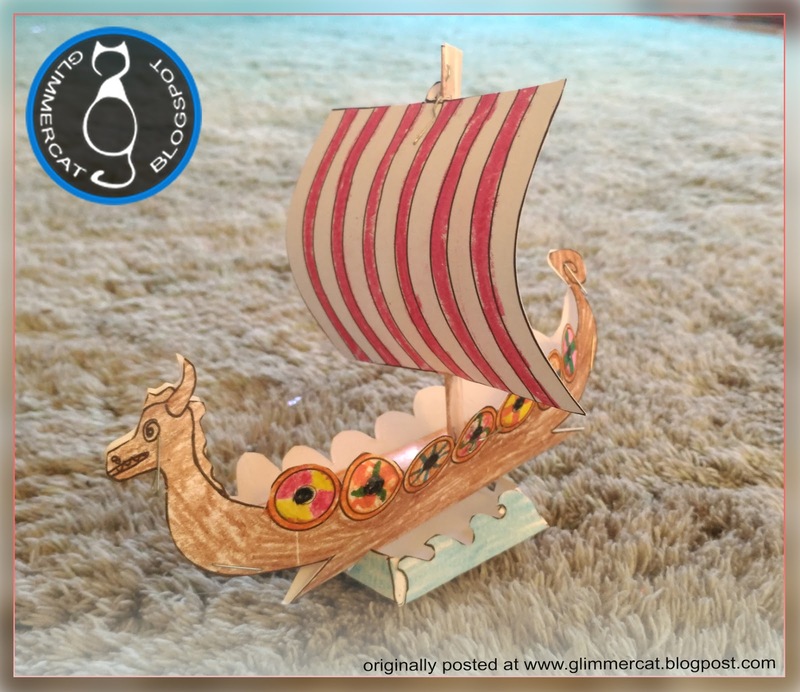 Glimmercat Education: We're Vikings: The Terrors of the Sea! We're Vikings: The Terrors of the Sea! It's admittedly quite a change up. A few weeks back we were pretending to be monks, living quiet, humble lives in our stone monasteries, doing penance on our knees and tasting pottage and mead. And today, we're learning about Vikings, a bloodthirsty group who'd slaughter a monk and make off with his pottage. After we read up on Vikings and their many journeys across the Atlantic, exploring Iceland and Greenland and North America, we decided it would be fun to create a Viking helmet and shield. Although I created a color version and a black and white option, the kids wanted to color their own. And maybe add a few extra designs to make the helmet truly their own. A bit of color, a few fine jewels drawn on: we're definitely getting the hang of what Vikings valued back in their time period. That, and land. They did appreciate a good piece of land, didn't they? After we completed our helmets, we were ready for more! The shields were brought out! 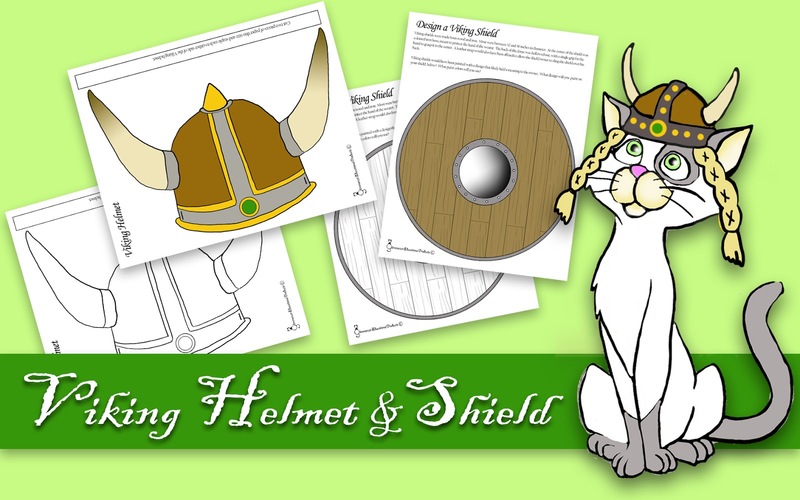 Now I admit, I did not intend these shields to be used in pretend play. 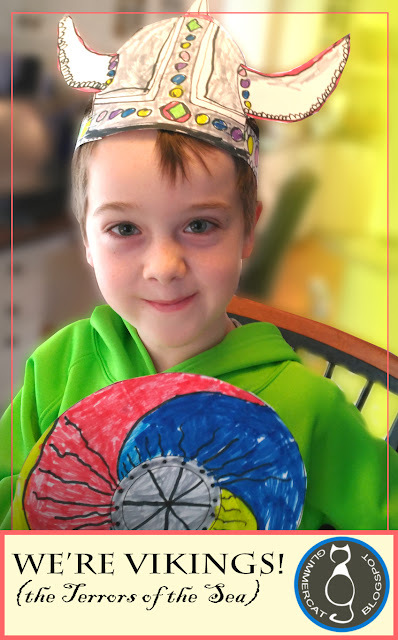 The idea was to let the kids design their very own shield: with colors or images that made it uniquely theirs. We were printing on card-stock (I always print these kinds of things on a good thick sturdy card-stock!) 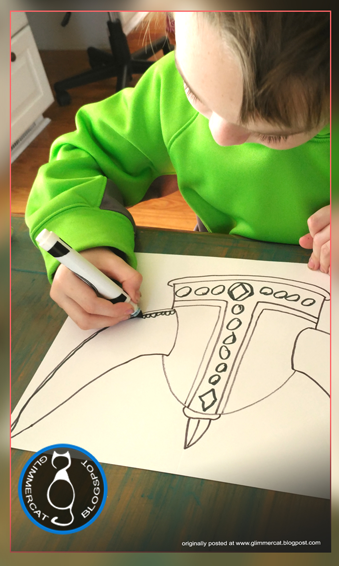 and rather naturally, the kids cut out their shield once they'd colored it, stapled on a hand grip and were deep in Viking combat almost before I knew what had happened! 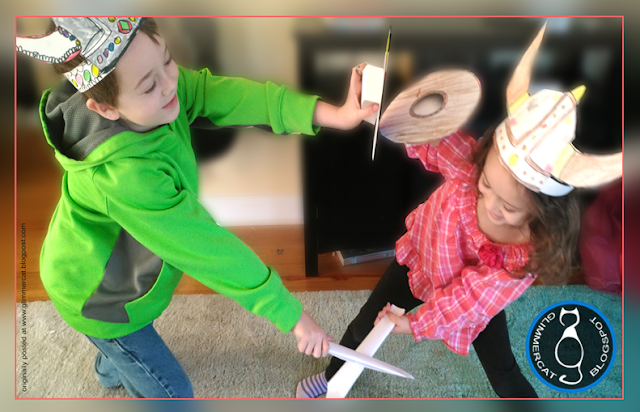 Those paper swords were kid created, out of a rolled up and stapled card-stock sheet. These shields aren't sized accurately. Let your kids know, if you try out this activity, that actual Viking shields were at least 32" in diameter, and the boss in the center, was like a 6" dome off the front! The next day, these kids were still hot to trot about Vikings. So, we investigated a bit more and came up with these fun activities! After that, the kids were ready to try out carving runes of their own. 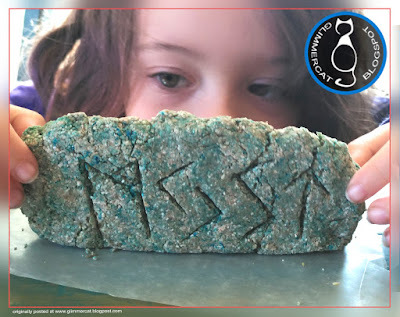 We made our own dough (using flour, cornstarch, coffee and one drop of blue food coloring) and we drew our runes using plastic knives. This was easier to do than I first thought it would be. 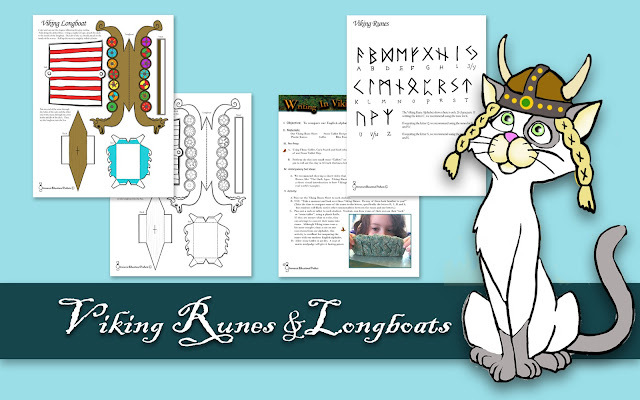 The Vikings knew what they were doing with that upright line based alphabet! And last but not least, we decided to create a paper model of a Viking longboat. 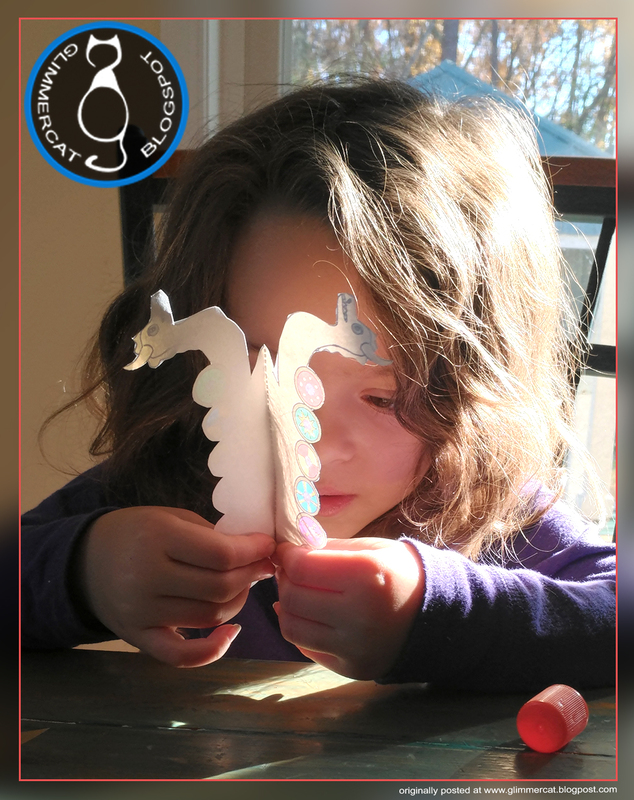 This, along with all the activity pages in this post, is available in our Store. You can print out a fully colored version or and black and white one for coloring in yourself (my kids always prefer that!). Now the cutting was a bit tricky for my 5 year old, admittedly. She needed a lot of help. But once I explained that all the dotted lines were for folding, she went after those folds. Great folding practice! We used glue, staples and tape for attaching things. Staples were best for the mast, and glue was best for affixing little tabs together. 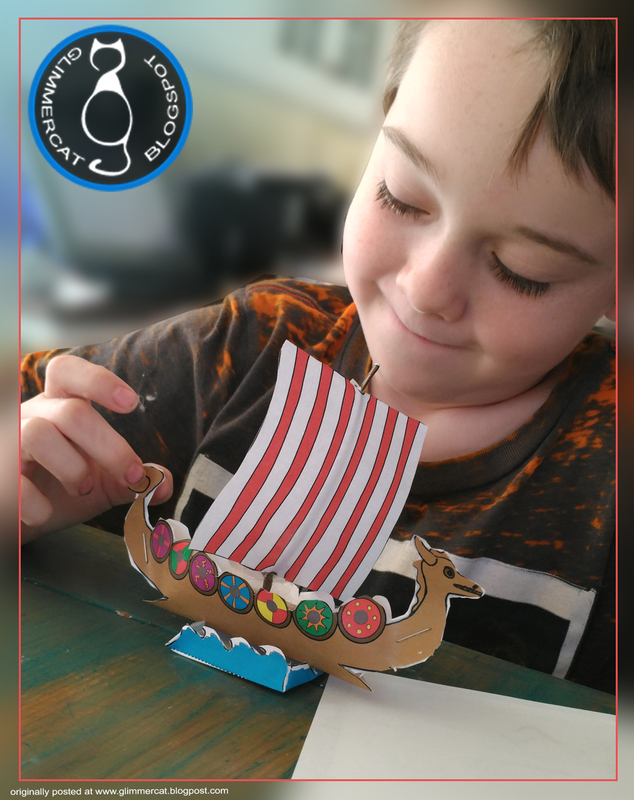 But the finished product looks neat and was fun for pretend play while I read out loud a bit more about those villainous Vikings! 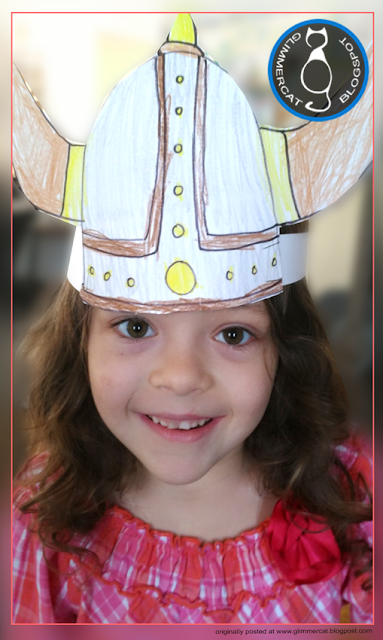 And we finished up our Viking study by putting on "How To Train Your Dragon" just for fun. It's always important to clarify what is fact and what is fiction in these stories but you just can't go wrong by hanging out with Hiccup. All of the activities previewed here are available in our store for purchase. 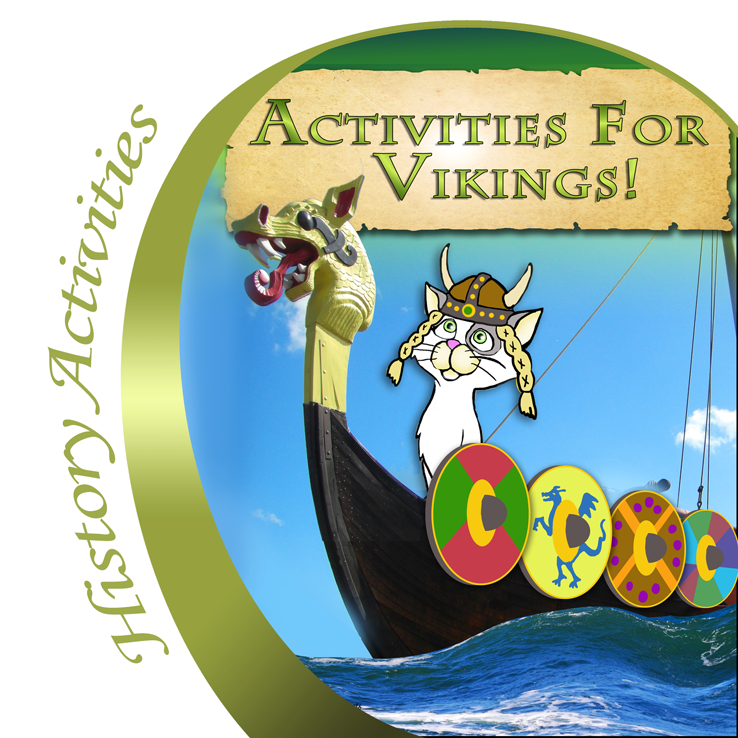 Thanks for reading, and please share your favorite Viking activity in the comments! So many wonderful, hands-on activities to learn about Vikings! I love that you give so much choice to your students, and that they are able to take on activities and change them up to suit their interests! Love everything you do. What fun activities! It must seem more like playtime than school time to the kids - you can't beat that! Ah, thank you so much, Amanda. I think my favorite thing is when my kids take the learning by the reins, so to speak, by adding to what we have been studying and bringing it into their play. When I see them making it their own in such ways, that's when I feel that the instruction has been successful.